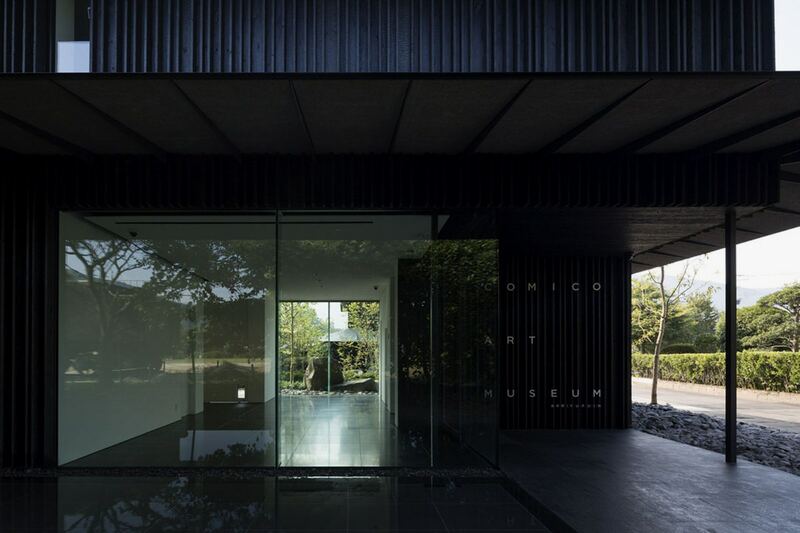 Kengo Kuma’s latest work is the Comico Art Museum. Located in Japan’s Ōita prefecture, the space for contemporary is famous for its close proximity to a hot spring resort which, in turn, has led to a local culture fostering in the town. The aim for the building was to integrate the building into its surroundings and the designer has done so by using a traditional method of wood preservation called Yakisugi, which burns timber in order to create a more durable material. The interior of the building consists of 2 exhibition rooms that both look over a shallow pool, while the second floor uses wood and Washi, a traditional Japanese paper, to furnish the space. There’s also a garden that surrounds the building, ensuring the space connects with nature in a natural manner. Take a look at the gallery above to see the space for yourself. Posted in Design and tagged art, building, Comico, Comico Art Museum, Completed, contemporary, culture, famous, gallery, Inside, integrate, japan, Japanese, Kengo Kuma's, Look, Museum, Recently, spring resort, Washi, Yakisugi. 2013 - 2018 OK MAG. ALL RIGHTS RESERVED.